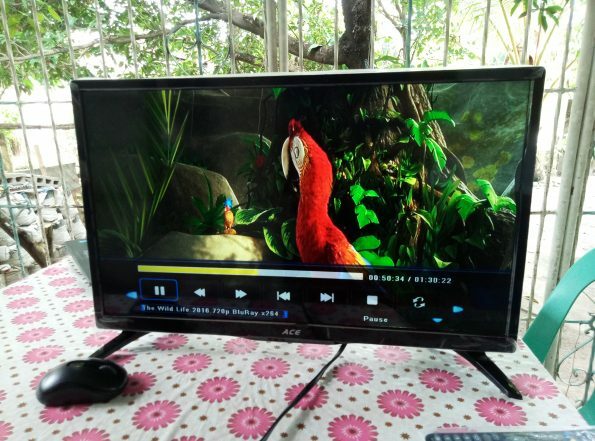 SpideyLab reviews the Ace LED-802 24-inch TV! Last April, I am thinking about what shall I give to my mother for the upcoming Mother’s Day. I wanted it of course to be special. I believe that any gift will be appreciated by my mother but I want the gift to have some memorable or sentimental value. Then, she told me that the small television she’s using in our dirty kitchen broke down. It’s a CRT television that is on duty since 2007. Oh well, I guess it served us well for the last decade. I remember it was bought for use of my grandmother when she was bedridden whom we took care of until she passed away. The TV is so memorable that we can’t even dump it now even it broke. Anyway, I decided to look for a replacement on physical stores after knowing that. 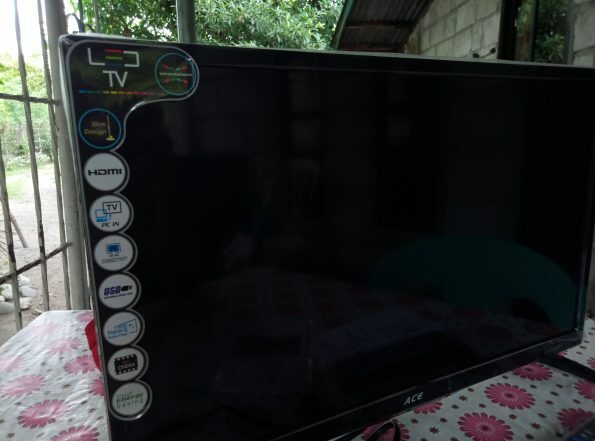 However, appliance stores offers 32-inch LCD TVs as already the lower end models. There are few smaller TVs there but I really think they are not priced competitively. A matter of 2,000 to 3,000 pesos and you will already get a higher end model with bigger screen? That’s not economical. I don’t want to buy a 32-inch either just for dirty kitchen use. It will not simply fit for the planned usage and available space, considering it will replace a 13 inch CRT TV. 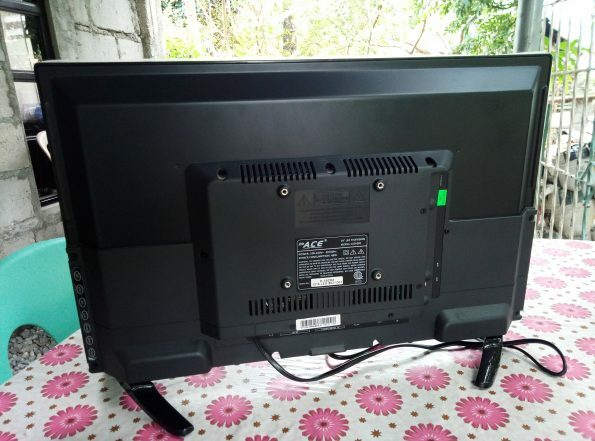 So, I look at my favorite online store, Lazada Philippines to look for a TV. Gladly, I found small TVs that is competitively priced. 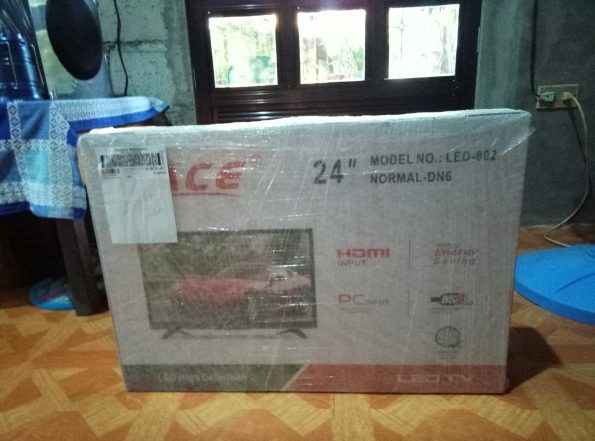 Ace LED-802 24 Inch TV is my last pick after choosing between the iTechie brand and Ace. Well, basically my deciding factor is how good the actual ratings are. Many people is concerned about dead pixels from the competitor. That isn’t a bad thing if it is minimal but better to choose another brand for a similar price. The TV is housed on a simple white box. The unit itself is protected and packed safely, like what you can see on any other branded tv. 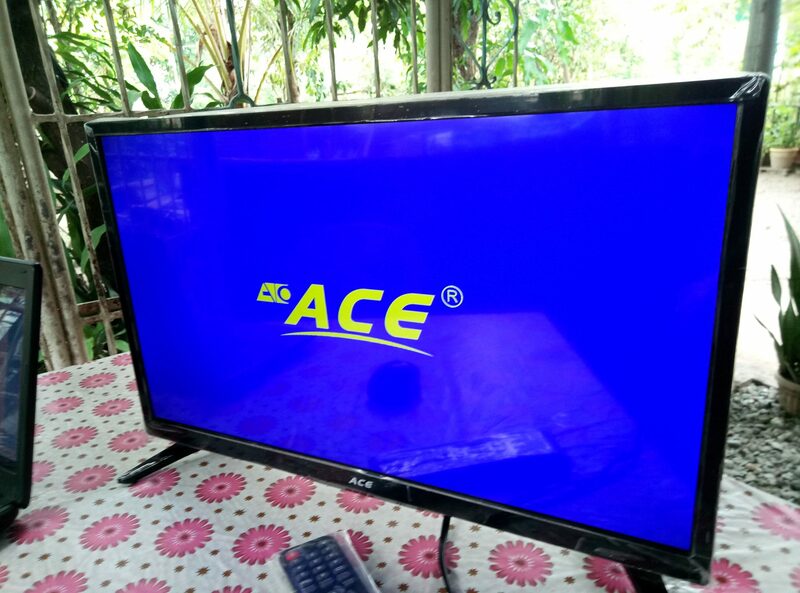 Opening the Box of Ace LED-802 TV. The TV is all built with plastic. The build is somewhat similar with our existing Sony 32 inch TV. There are no cracking sounds or what so ever while handling the unit. This particular model is the basic one but another model offered by Ace has a tempered glass on top of the LED screen. The only concern I have upon opening the package is that the vents on the back panel is located on top. This isn’t a good idea especially for us who are living on a rural area. Dusts will surely accumulate and enter the television through these vents. The unit supports a wall mount too. If you plan to mount this on th wall instead, make sure you will buy a compatible wall mount since it isn’t supplied by Ace. Inside the box is the tv itself, remote control, batteries, tv stand, screws and small foam pieces (for the stand). The remote control included is too big for my liking. Nonetheless, it will do the job just fine. This can be taken as an advantage too as my mom need not to use eyeglasses just to see the prints on the remote control’s buttons. The tv stand is not yet mounted on the main unit. So, you should to it by yourself. There is a leaflet included on how you will connect it. However, I find myself taking longer time mounting the stand because there are too many holes at the bottom of the TV. I guess, this is to allow the use of other stand? Hmm. 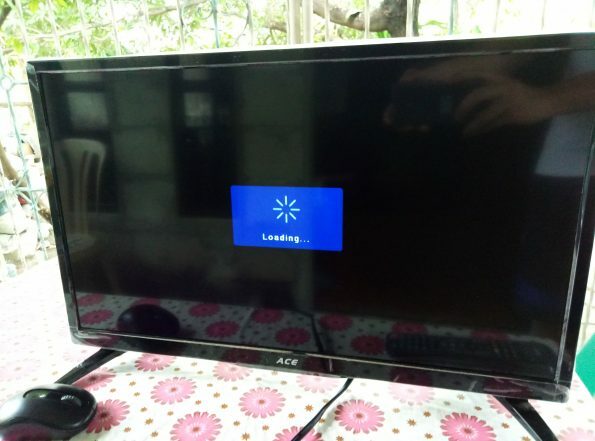 At first, I thought the TV is not booting properly. I’m wrong. It just takes a while before the blue boot screen of Ace will appear. In my liking, the boot up process is a bit long. This will give you the initial impression that the tv is not working properly and will tend to power it on again. Then, you’ll end up powering it off instead. There is a bright red light on the bottom right corner in front of the TV. This will light up when the unit is connected into a wall socket. The light turns off by itself when you turn on the tv. That’s a nice thing though because the LED indicator is disturbing. This particular Ace LED-802 model has good set of ports available for your usage. 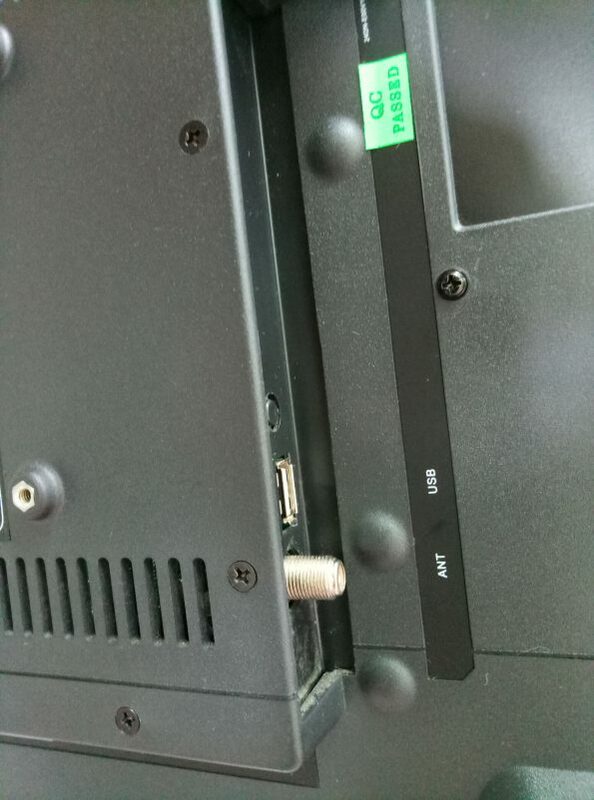 There is a VGA port for computer monitor use and a HDMI port as well. The standard RCA inputs are still there. There is no RCA out, however. A dedicated speaker out or a 3.5mm headphone jack is available. This comes very handy as there is no RCA out and the TV speakers is not that good too (more on this later). Ports available for LED-802 TV. Or course, to make this a TV, an analog RF antenna port is on the back’s right side together with the USB port for media playback. Physical buttons for power, channel, volume, input and menu is located on the back. The buttons can be reached by touching the back part of the right side edge of the tv. This comes handy too in case you misplaced your remote control. The buttons looks cheap and they appear to break down after some time. I suggest, press them only if really needed. You can do better using the remote control anyway. Ace LED-802 TV Physical Buttons. In this section, the tv is reviewed in each parameter for us to see where it excels and where there is/are shortcomings. This is mainly on the software side as the unboxing already did the hardware and build part. The user interface of Ace LED-802 TV is the common software you can encounter on other cheap brands. Saying that, it comes up with basic settings you can tweak and necessary but basic features that will make you ready for media consumption. You will not be confuse on how to operate the TV. If otherwise, you can always consult the manual. 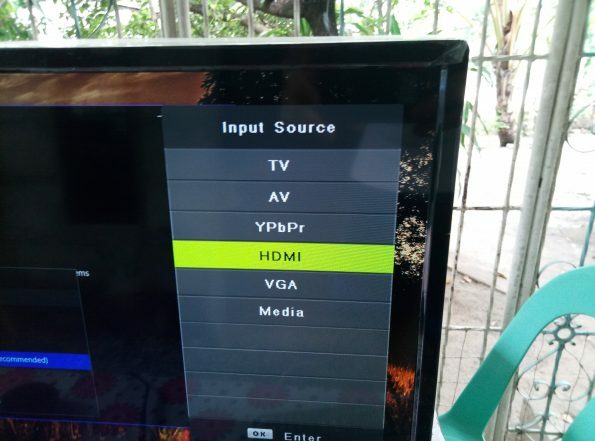 Ace LED-802 TV Settings Menu. Ace LED-802 TV can give you media consumption via traditional DVD players or via USB playback. It supports almost all the video formats I have tried. And as I remember, even the newer H.265 MP4 format. Hmmm, this should be re-verified soon. I haven’t encountered no sound on videos but that’s because I am making sure that the movie or video format I have and using is widely supported on all devices. This is tested using a 32GB USB 2.0 Flashdrive. The content of the flash drive is loaded without any issues. Sample playback for a .MKV video format. Subtitles are supported too. Just make sure that the subtitle SRT file is named similarly with the video or movie file. However, there are no available adjustments for the subtitle texts. You may find it too small and can’t be easily seen on some cases. 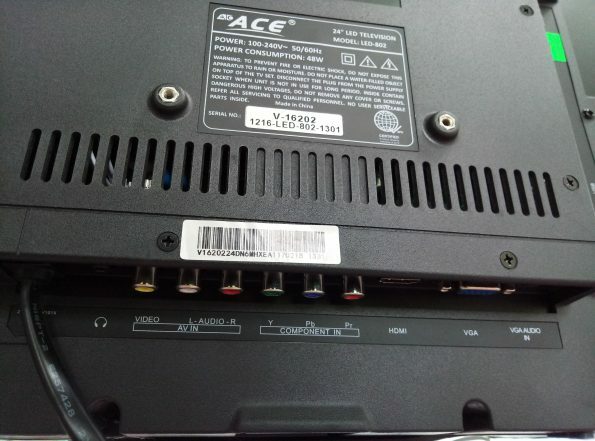 Supported Source/Input of Ace LED-802 TV. Above are the available input sources. To use the USB feature, select “Media”. The TV is equipped with a bright LED panel that shows sharp and well saturated picture. That is real evident upon boot-up when the Ace boot screen welcomes you. Anyway, I prefer it that they color it black for a more professional appearance. There are some bleeding that is happening on the edges of the tv when the brightness is adjusted too high. But, that is prominent on all LCD and LED tvs. Also, you can’t expect more in this price range. 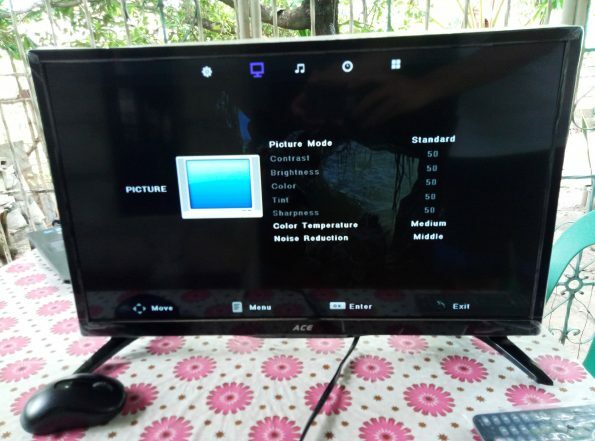 One thing I noticed is that the vivid colors will greatly deteriorate when you adjusted the brightness too low, this doesn’t happen to our Sony TV, as a comparison. Ace LED-802 TV natively supports 1366×768 display which makes it to qualify as a HD ready TV. That is because HD TV should have at least 1280x720p resolution. Thus, the term 720p (HD). 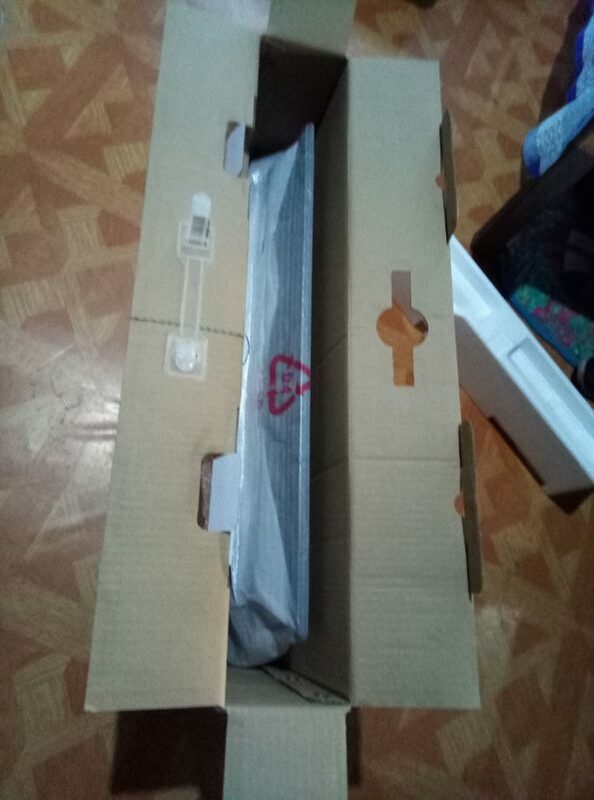 This is against the product description in Lazada’s website claiming it to be a Full HD TV. 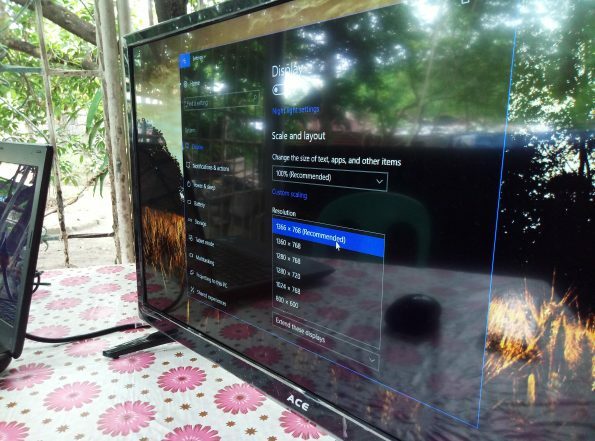 A Full HD TV has a 1920×1080 resolution. However, it wasn’t indicated if it is the native display. So, that’s not a false claim since the unit indeed support 1920×1080 (1080p) via HDMI input. More or less, it is a marketing strategy that may mislead buyers. Available Resolutions for VGA input. And this, for HDMI Input. 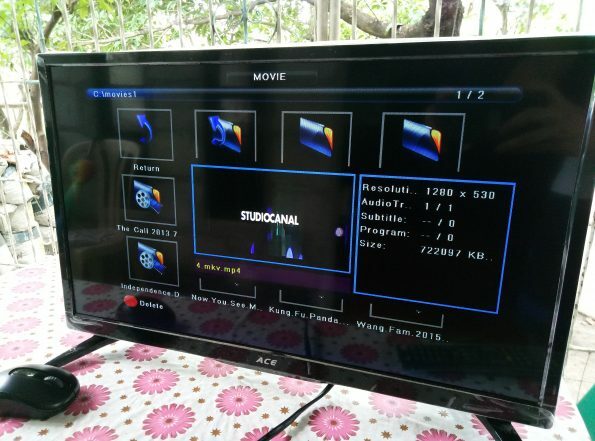 As you can see on above photo, 1920×1080 resolution is available using HDMI. But I suggest that you stay on the native 1366×768 resolution for best viewing experience. The Full HD via HDMI is not sharp and you will encounter trouble reading texts in the screen especially the small ones. That’s because you can’t push more pixels in a display that has no enough physical pixels to start with. If you are planning to use this unit as a computer monitor, this will do good at 1366×768. 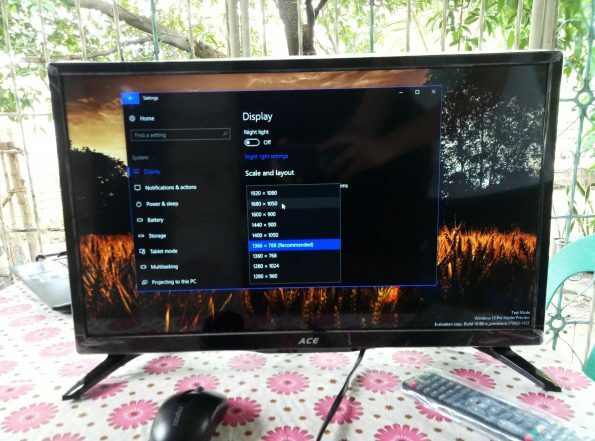 If you need a higher res for your work or play, you should get a real computer monitor or can also be a TV that has a native Full HD display. For “gamers”, this particular TV isn’t recommended for games with very fast frame switching. One more thing is the brightness related issue. As I have said earlier, this particular TV depends on brightness to show vivid colors. You won’t like it if you tend to adjust the brightness to the lowest possible setting. The display will start becoming like what you can see on classic movies. 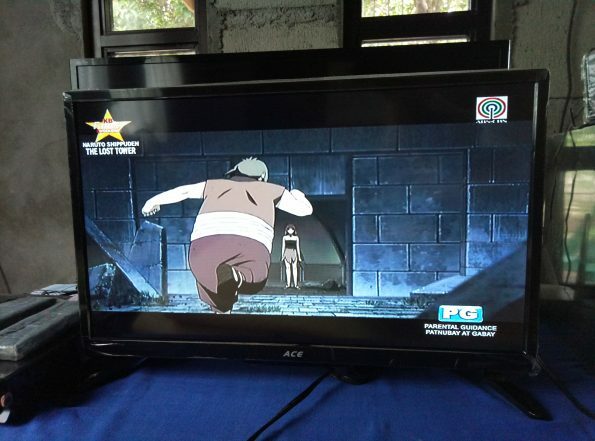 For AV Input (the traditional RCA), I tested it using a ABS-CBN TV Plus Blackbox unit. 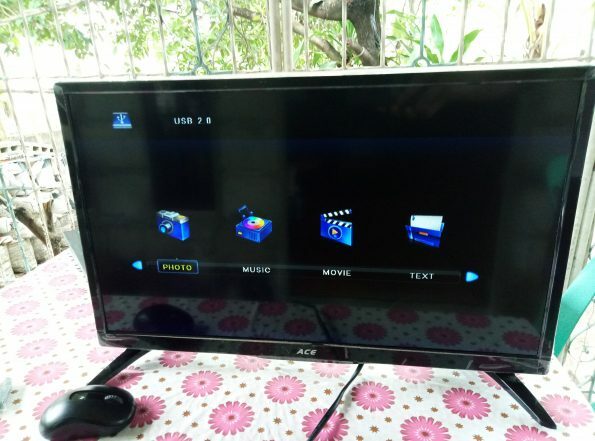 Input via analog cables are limited to 480p, that’s why I decided to use the TV Plus instead of connecting a DVD or a Blu ray player into the TV. That makes sense since ABS-CBN is broadcasting their free digital channels on SD only too. 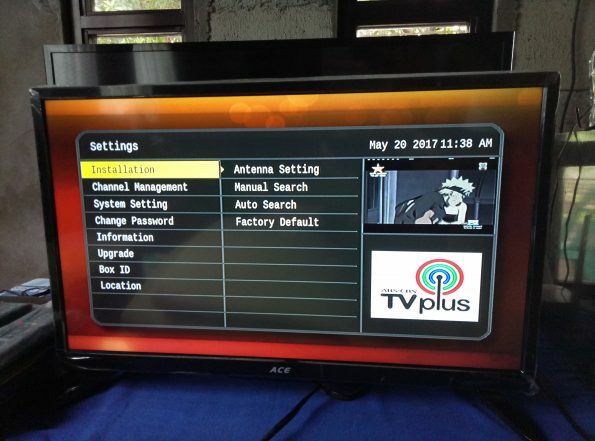 ABS-CBN TV Plus Blackbox Settings/Menu. So, that’s it. Ohh. It’s been more obvious than I thought. The TV behind the Ace one is our primary TV. When compared side-by-side, the color saturation of both TVs are nearly the same. Sony has a better color balance. But, I haven’t tried to further adjust the color saturation of Ace TV. It might match with Sony too. 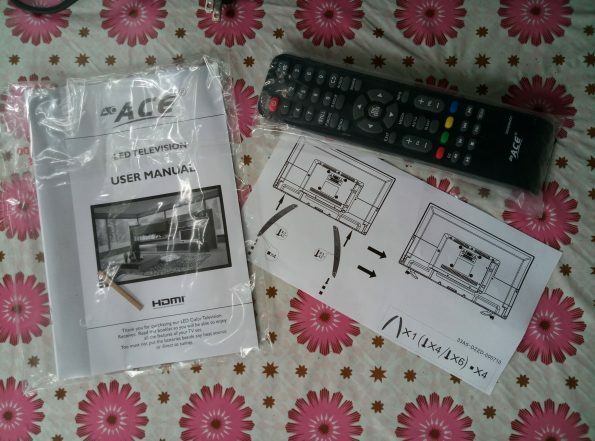 This is the part where Ace LED-802 TV somewhat failed. The TV is lacking bass for the sounds. It is not sounding like a can of sardines as what others say for a comparison. But the audio is more on the treble side frequency. The speakers position didn’t help to alleviate the issue because it even make the sound “sounding” worse. The speakers are down firing, making you have the feeling that the sound isn’t coming right in front of you when using the TV. Almost all flat screen TVs specially as slim like this normally has weakness on audio. That makes Ace LED-802 not an exception. However, other manufacturers found a way to alleviate or alter the sound output by strategically placing the speakers. Ace didn’t bother to do anything about it and just place the speakers on a plain down-firing position. Ports available for LED-802 TV. Use the headphone out to connect your speaker. Adaptors for 3.5mm to RCA is available on hardware, in case your speaker is using the traditional audio cable. Right after testing the TV, I immediately plugged-in a pair of USB-powered speakers that is gathering dust on my cabinet. I used the USB port of the TV to power the USB speaker. No more additional adapters! If you do this just make sure that the TV can supply the needed power of the USB speaker. If not, it will be obvious like the TV might shut down itself in some cases. The USB speakers greatly change the hearing experience. It sounded far better compared to the built-in speakers. For users who are planning to use this as a computer monitor, this will do as a cheaper alternative to expensive monitors. Provided that, you will stay in the natively supported display. The not-so-good speakers will not be a problem too for that case. 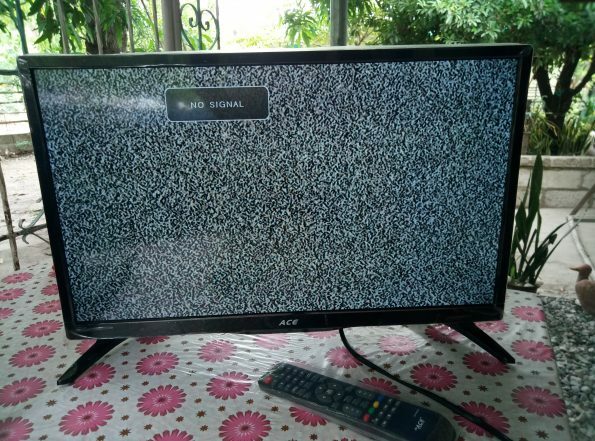 As a TV, it got analog signals as expected and there is a software tweak that you can activate to overcome the noise of analog reception – so that, analog signal will be viewed better. This isn’t a digital TV ready for ISDB-T broadcast. That is too much to ask for. The display is one of the best in the price range and can compete with similarly sized international branded TVs. *cheaper because I used a discount voucher when I purchased one.